Perhaps pre-empting the Christmas rush, Sony has announced a new version of its PS3 games console at the Tokyo Game Show. The new sleeker, sliommer models is going to be made available in two models; one sports 500GB Hard Disk Drive and there's also a new 12GB flash memory model. The two models will be available in Europe and the UK on September 28th and October 12th respectively. No UK prices have been announced for either of the news models, but European consumers can expect to pay €230 for the standalone model and €300 for the 500GB model, which will also come bundled with a copy of FIFA 13. UK retailers are expected to be allowed to set their own RRP, so gamers are advised not to get their hopes up for prices that exactly reflect the current exchange rate between the Euro and the Pound. 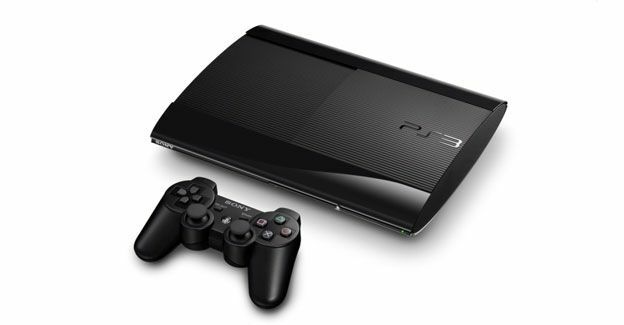 Sony says its completely redesigned the internal PS3's design architecture, and reduced the the internal volume and weight of the new console by more than half when compared to the very first PS3 model. Gamers who plump for the 12GB Flash Drive model will also be able to expand the storage capacity by connecting a dedicated HDD (250GB) to be released concurrently with the new PS3. In addition, a variety of accessories will be introduced including a vertical stand.